There's a little Asian market here in town that also has a cafe with decent Vietnamese food and some assorted pan-Asian dishes. We're fans (mostly for lack of anything better around here). We had lunch there the other day, and while poking around the market afterward, decided to pick up the ingredients to attempt to make fresh spring rolls. We already had some ingredients at home, so we just needed wrappers, vermicelli noodles, and hoisin sauce for dipping. The wrappers were pretty unwieldy at first (they came flat and stiff and need to be very wet to be pliable/edible), but once I got the hang of it, I had fun making these. 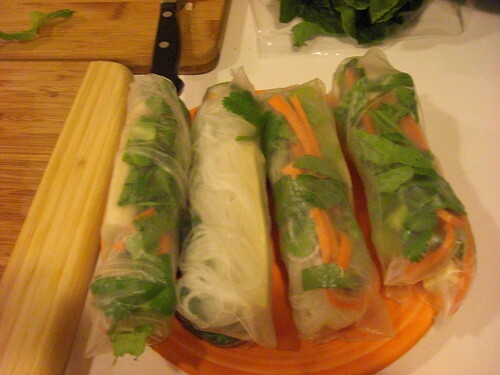 I used tofu, vermicelli noodles, and lettuce and carrots from our CSA, but you could put whatever you want inside. I also put cilantro (aka the abomination of the world) in his. I couldn't find any Thai basil in my quick grocery search, next time I'll add that in. For the sauce, I added some crushed garlic and crushed up peanuts to the hoisin. This meal was a definite make-again success. Also, I was highly excited about the baby carrot that came in the bunch from the CSA. Don't mistake this baby carrot for the impostor baby carrots that are actually big carrots shaved down and mass-produced. 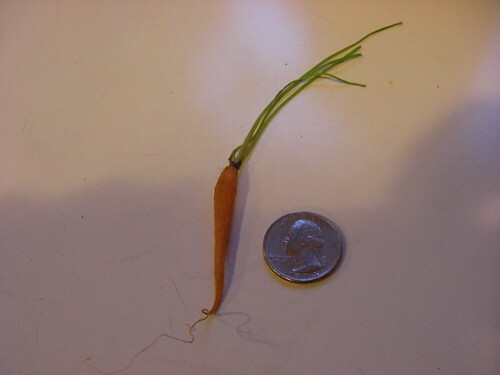 No no no, this was an actual baby carrot! I'm very easily amused. In other news, we're headed off on a weekend getaway to Port Townsend, Washington (one of our very favorite places) tomorrow. 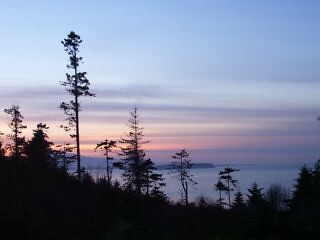 This is the view from our digs there. Have a great weekend! That baby carrot is adorable and hilarious. For some reason, even though I've seen them before, it seems especially funny that it came in your CSA box. Was there only one? And then a bunch of big ones? Your picture is priceless. Have a great time in PT!!! Great job on the rolls! Next time, add in some mint and it'll make the best little kick! These are a summer staple at our house!